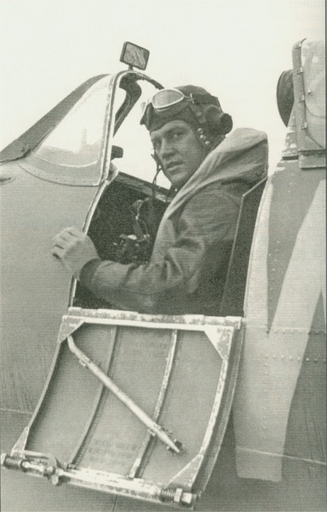 Harry Strawn, Operations Officer of the 413th is pictured here in a Spitfire in 1942. While flying in Africa, he was shot down twice. Retiring as a Lt. 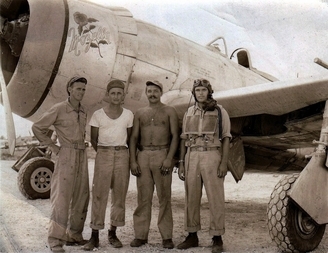 Colonel, Strawn was awarded both the Purple Heart and Distinguished Flying Cross. 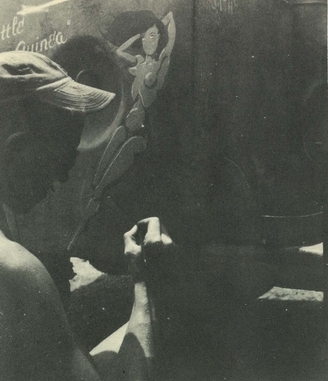 Douglas "D.C." Jones is seen here painting an aircraft. Later in life the talented Jones wrote several historical novels set in the "old west", one of which, "The Court Martial of George Armstrong Custer", was adapted for a TV movie. Jones also taught journalism at the University of Wisconsin and served as Public Information Officer for the Department of Defense.